One of the popular upgrades that the professionals mostly get requests for is changing the wheels on tandem trailers and single axle trailers for land cruiser and terrain tyre rims. 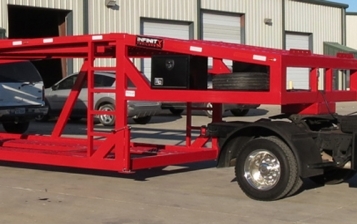 You can have immense benefits if you take up the right upgrade options when looking forward to buying trailers in your nearby location. 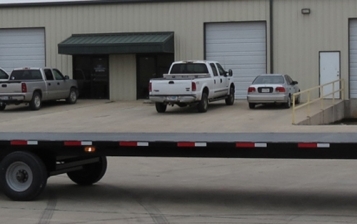 If you're planning to tow the trailer off the road for a long period of time, terrain tyre upgrades on the car hauler trailers make true sense. The professionals are capable enough of supplying and fitting all-terrain tyres and rims on almost every tyre to enhance the durability and versatility in demanding conditions. One significant reason to opt for the all-terrain tyres on trailers is, they provide the best transaction on all possible surfaces. The soft compound of rubber that is used often contributes to the versatility as well as the ability to handle different surfaces or roads. These terrain tyres often feature increased load capacity and reinforced sidewalls, essential when towing heavy loaded trailers. There are a number of drawbacks you need to consider when talked about all-terrain tyres including that the tread patterns create more noise on road. They are highly prone to cupping, specifically if the suspension present on the trailers isn't functioning well as it is intended to be. What makes land cruiser tyres and rims to be a great choice? For anyone towing trailers behind SUV or 4WD, opting for Land Cruiser rims and tyres can provide you with several advantages. With professional upgrades, you can choose the rims of varied sizes and have stud configuration in accordance with your requirements. The useful aspects of the tyres and rims on the trailers complementing those on towing vehicle is, you can effectually carry fewer spares. If you're in need of changing the wheels, you can feel free to use the same spare for your 4WD or for your trailers. This is useful if you're loaded up or you're travelling long distances. Another advantage that you may get when towing on muddy or sandy terrain is, you'll have the matching wheel tracks. This implies that the wheels of trailers can follow in the similar tyre tracks that are made by the towing vehicle, creating resistance, less drag and smoother ride. This curbs the possibilities of wear or tear on the trailer tyres and helps in enhancing fuel economy. 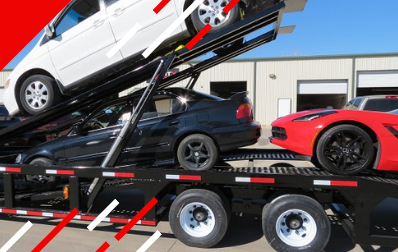 If you're looking forward to buying car hauler trailers, find a store that provides affordable accessories without compromising on the quality. Ask for recommendations or rely on the Internet to shortlist the names of reputed companies that have years of experience in this field.